As usual, the designers here at The Companion Group have been working hard to create new products that enhance the ease and quality of our cooking. 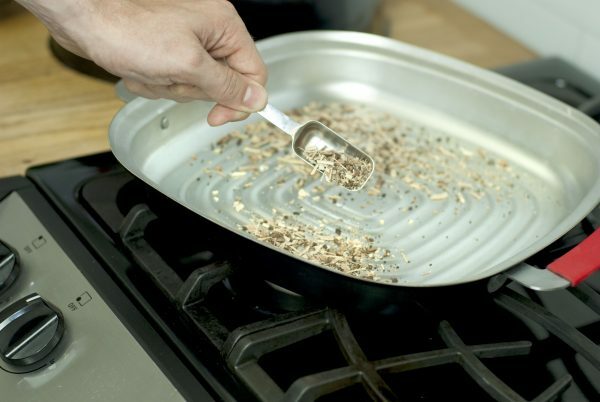 To do this, our product development team is constantly thinking about how we can make the cooking process more accessible and enjoyable with the right tools and accessories. Out of these conversations comes a new product for 2018 that will change the way you smoke food. 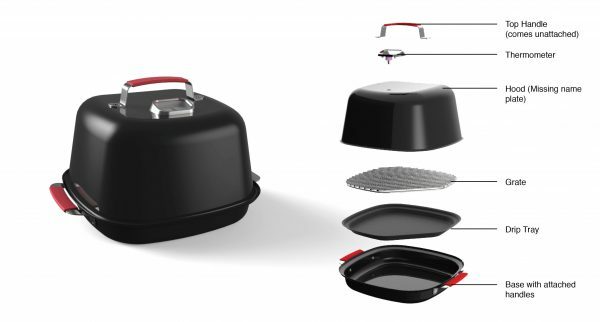 Here is a peek behind the scenes to show how we developed the new KitchenQue™ Stovetop Smoker. The idea for the KitchenQue™ came out of the hot trend of home smoked BBQ. Around the country, backyard barbeque fanatics have been switching to smoking pellet grills or using smoking trays to enhance the flavor of their food. We realized that for many people the process of smoking can seem both expensive and complicated. New pellet grills cost hundreds of dollars and smoking food with one of these advanced grills can be intimidating. That is why we decided to develop a far more simple and inexpensive way to smoke food indoors. The KitchenQue™ Stovetop Smoker is one of the first of its kind, so when we began to develop the product we had to look to many other outdoor smokers for design inspiration. The design team exhausted this avenue by researching as many smokers as they could. The best ones they could find were then extensively tested. 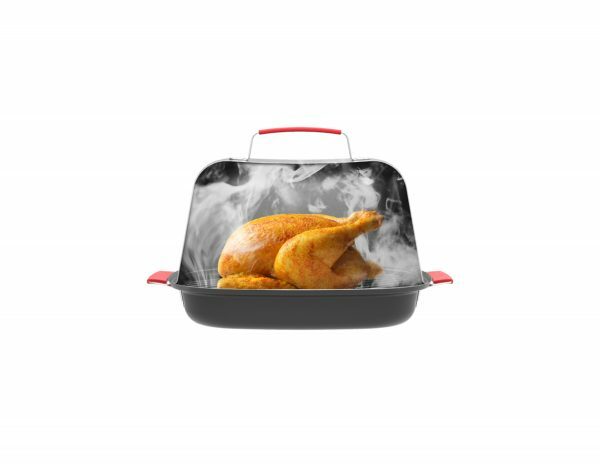 They then improved upon these designs in creating the KitchenQue™ to make the most effective indoor smoker on the market. Once the design was complete it was off to manufacturing where the design team worked directly with the factory to create the final prototype. This step included small revisions to the smokers hood to make sure the product was perfect for tooling and had no flaws in its final production. After over one year the KitchenQue™ Stovetop Smoker is now finally complete and ready to smoke foods inside the home. The final product is compact, elegantly designed, and easy to use. It has high heat silicone grips, a coated steel body, and a removable drip tray for easy InstaSmoke® refilling. 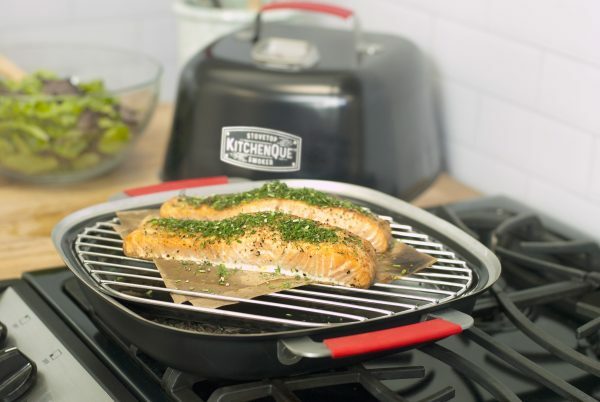 KitchenQue™ is compatible with most stovetops and has the ability to reach 400° F. It is perfect for smoking brisket, ribs, fish, chicken, and veggies without the complication of a large smoker. It is available now for preorders and will soon be in kitchens all over the country bringing the best-smoked food flavors indoors.